This is a very good news for the bike lovers that the Hero Honda Karizma ZMR 2011 will be soon available in the market with some advanced features that the bikers will like to have. The renewed version of Hero Honda Karizma ZMR is thought to be launched and hit the road any time. Hero Honda is a famous bike manufacturing company of the world which is the most popular brand in India. In the past, this company has released many popular and famous bikes and also the renewed versions of some bikes such as Hero Honda Hunk, Hero Honda Passion, Hero Honda Splendor, Hero Honda CBZ Xtreme, Hero Honda CD Deluxe etc. and these renewed versions have got a huge feedback and popularity in the market. So everybody is expecting that the new version of Hero Honda Karizma ZMR will also get that kind of response. Hero Honda has released two versions of the Hero Honda Karizma. They are, Hero Honda Karizma ZMR and Hero Honda Karizma R. These two versions has got almost similar features and specifications except some of the dissimilarities. The main difference of these two versions is the body design. 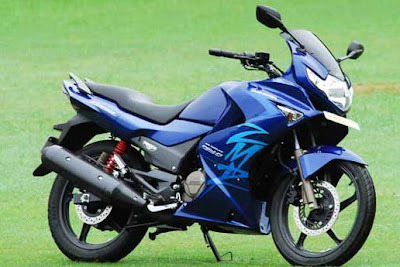 The design of the body of Hero Honda Karizma ZMR is different from and Hero Honda Karizma R. But both of these models have got same power engine. The Hero Honda Karizma ZMR has got a 223 cc engine which can give huge power to the bike on the street. The engine is four stroke, it has a single cylinder. The PGM Fuel Injection system of the engine provides an increase of power even though it should be improved more. The engine is kept cool by a oil cooling system. This engine provides a maximum power of 17.6 Bhp at a revolution rate of 7000 rpm and it also provides a maximum torque of 18.35 Nm at a revolution rate of 6500 rpm. It also offers a five speed transmission and a smooth gear shifting. The Hero Honda Karizma ZMR is one of the most demanding bikes in India. 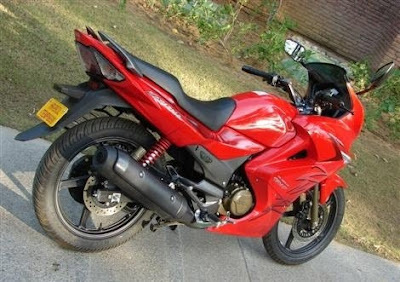 If you compare this bike with other popular bike models in terms of performance and power, the Hero Honda Karizma ZMR is surely a big competitor of other popular and powerful bikes like Kawasaki Ninja 250R, Bajaj Pulsar 250cc and another upcoming bike model Honda CBR 250 R. The price of this model in India is Rs. 94,000/-.